CSG say they will tailor their training to suit the needs of a wide range of sectors, from food manufacture to petrol forecourts. Hugh Neatherway, Divisional Manager (spills) for Hampshire-based CSG, said the fast reaction of on-site staff was vital, particularly in operations such as food manufacturing where a spill could possibly contaminate products intended for human consumption. 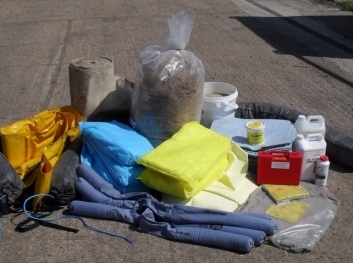 “It is very important that a company has the correct equipment in its spill kits and that staff know what method of containment and which equipment or products to use depending on the substance that has been spilt. The correct response can also help stop a minor incident escalating, or help reduce the effect of a major spill pending the arrival of a professional spills clean-up team. CSG, which has its own specialist Emergency Response Spills Service and is a founder member of the UK Spills Association, is currently are offering its spills training service just to customers but intend to extend it to non-customers later this year.